Our Malala Fund Virtual Reality documentary GIRL ICON has its world premiere at SXSW in March. Created by Espii Studios & little GIANT Wolf , directed by Sadah Espii Proctor and produced by our own Skye Von for the Malala Fund and Oculus's VR for Good. 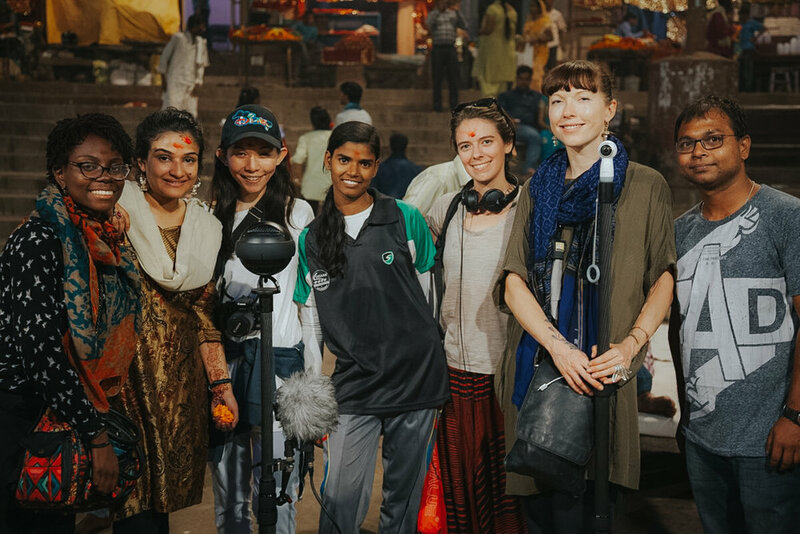 The film is an experimental VR documentary about Rani, the girl child from a family relegated to washing clothes because of caste in Varanasi determined to get an education. “I want girls to look at me and think they can achieve anything they want," says 17-year-old Rani, from Varanasi, India. Her family has been destined to wash clothing by the caste culture of their society. But growing up in a community that believes girls should stay at home, do chores, and get married, doesn't stop her. Rani is determined to finish school and go to college. As we follow Rani, she gives us an intimate glimpse of her hopes, frustrations, and dreams. Rani takes karate in hopes to get string because she wants to become an Army Officer. This project is part of the Oculus's VR for Good. Creators Lab program in partnership with Malala Fund and Milaan Foundation. Oculus VR for Good Creators Lab is an initiative designed to support content creators, impact innovators and inspire partners who see virtual reality as a way to make the world a better place. Thanks to everyone who contributed to making this film! Shubhra Prakash, Bhumika Regmi, Hannah Orenstein, Sunita Sharma, Eli Rai, Alyssa Newlon, Sybil Steele, Pulkit Datta, Nonita Verma, Richa Rudola, Simon Taufique, Subhi, Estella Cisco-Dalrymple, Robert Dalrymple, Keith Proctor, Ingrid Knight, Joyous Pierce, Hardware Hack Lab, J. Dakota Powell, Safi Thomas, Yvonne Chow, Maria Fraguas Jover, April Yvette Thompson, Ron Simons, Stacey Matthew, Kari Margolis, Tony Brown, Bob Leonard, Ann Kilkelly, Bob McGrath, Wi-Moto Nyoka, Michaela Holland, Helen Situ, Jenn Duong, Vernon Jordan III, Scott Kleinberger, Nate Hamlin, Stina Hamlin.